IATA.org has estimated that 3.8 billion people travelled by plane in 2017. Should it be added with the number of people getting on a train, bus, ship and other kinds of transport, the real statistics must be even more staggering. With this high level of mobility and traffic, some might have begun questioning what can be done to help them go on their trips with less hassle. Well, one simple tip is to get the right luggage. Below are some things to consider in the first place and major factors to find the right one that will hopefully last a lifetime. These decide the luggage size. While the size options are commonly not that many to choose from: 13 inches that equals cabin size, 14 inches considered compact, 18 inches as medium and 19 inches as large; to find out the suitable luggage size needs some considerations. The first thing to do is to review most of your trips’ duration and the amount of stuff you need to take with you. For a practical person who normally travels for business for several days only, a compact or medium size can be the right, suitable candidate.On the other hand, if your lifestyleis similar to that of celebrities, in which shoes, bags and clothes need some special mix and match on daily basis, large luggage size is one definite answer. Going for a staycation and on a wild adventure in the woods surely require different kinds of luggage. Any kind, even the bulky kind, may not matter a lot in a fancy hotel, but a backpack appears to be the one kind of luggage that will survive in the wild. Now that you (may) have found out the suitable kind and size of the luggage, the next thing to do is to pay attention to details that ensure its quality. The materials used and where the luggage is manufactured usually decide the endurance of the products, which further affect the durability of the luggage. How much weight it can endure can be tested by filling some stuff into the luggage and see if it is as wobbly as when it is empty or it has become (more) steady, instead. Hard case luggage is commonly made of one of these materials: ABS, polycarbonate, polypropylene and PVC. Among the four, polycarbonate offers the highest level of strength and polypropylene is best known for its light weight. Soft suitcases are usually made of fabric. The general rule of thumb is the thicker the fabric is, the more durable it will be. 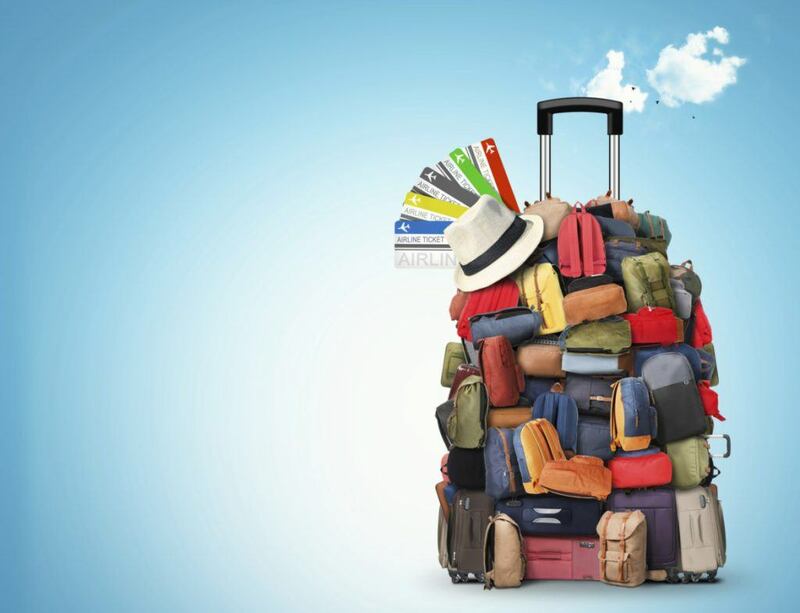 Despite the various materials of two main luggage categories, there are additional details that significantly contribute to the success of your trips. Finding new luggage on a trip is not an easy task. It is likely that you will be annoyed to find the stitches of luggage have come off and your stuff has scattered all over the place. Stitches should look uniform, neat and clean. You do not want sloppy stitches that will easily come apart. Everyone hates to lose stuff, especially when travelling. Zippers that burst open for no apparent reasons will surely ruin a traveller’s mood. Zippers, both the coil and chain versions, are prone to getting stuck, tangled or simply damaged. That is why it is important to get luggage that has good quality zippers. A chain zipper has two sets of interlocking teeth, usually made of metal. Chain is better and stronger than a coil zipper, which slides on two parallel coils usually made of polyester. Chain zippers are much more difficult to break into. When it comes to durability, wheels can be a weak spot. Four wheels are a great option, but if you plan on carrying a heavy load, two wheels might be better. If there is a lot of budget, choose a good brand. It is simply because good brand normally means good quality. Samsonite, American Tourister, Lipault, Delsey and Kipling are some of the most prominent ones. Each has its own characteristics and with a considerable amount of cash you can pick the one(s) that suits your preference: Samsonite with its sleek, minimal designs, perfectly made for on the go business travellers, American Tourister with its unique colorful looks and some Disney characters printed on the exterior, Delsey with its curved edges and French touch, or Kipling which emphasizes on playful designs. If you are on a tight budget, not getting a branded one is not the end of the world. It is important that a piece of luggage comes with a guarantee that the product will be in good working condition for a certain amount of time. Always make sure to check the guarantee statement for specific requirements, such as exclusions for airline damage. All in all, getting aboard with heavy, bulky luggage is a definite no for most people. Travelling light is what most people do. If you plan on buying a luggage, consider the kind of trip you mostly take and decide the one that is most suitable for your travelling agenda regardless the kind of luggage that is most commonly sighted at the airports.